Shah Abbas opens in 1593 at Qazvin, the early Safavid capital of Iran, where the three-day puppet king, enthroned to evade an astrological prediction, was deposed and shot. Thereafter the scene shifts between the courts of Iran, Spain, Hungary and England, to close in 1658, when the widow of Sir Robert Sherley has the remains of her husband removed from Iran and interred in the church of Santa Maria della Scala in Rome. Abbas I, rightly called the Great, was the most successful ruler of the Iranian Safavid dynasty. He recovered the territories lost to the Ottomans and the Uzbeg Khans, strengthened the throne by curbing the powers of the Qizilbash chieftains, bound the monarchy closer to Shi'ite orthodoxy, built a splendid new capital at Isfahan, and left the country with a prosperity that even the complacent administrations of his successors could not wholly undo. The dark side of these shining achievements was the shah's oppressive rule. 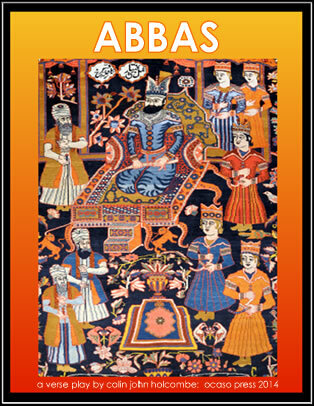 Abbas was a man of unprepossessing appearance, slight in stature but energetic, with arms, as many noticed, more becoming of an artisan than the ruler of the proud Safavid dynasty of Persia. Indeed Abbas often wore plain clothes to mix with the populace, happily sharing in their pursuits and interests, yet he was not a man of the people, but an absolute ruler. Tradesmen who short-changed their disguised shah came to an unpleasant end, as did nobles who imagined derogatory remarks made in the privacy of their homes went unreported. There was no appeal against the shah's decisions, and the governor who hesitated to execute his son at the shah's command would be executed by his son, or retribution would fall on both. at once with smiling rectitude were brought. I answer to my sovereign: well enough. 10. a lack of courtesy and fond respect. appropriately, whatever fate may send. as surly commoner above the rest? So nothing comes to you at this event? Your Sufi master was more eloquent. should melt the rough-hewn heart of stones. 20. who come back likewise to the earth again.